LITTLE BAY, Montserrat – This week on island, 24 young people are gaining first hand experience in launching a business through the Creativity for Employment & Business Opportunity (CEBO) course. 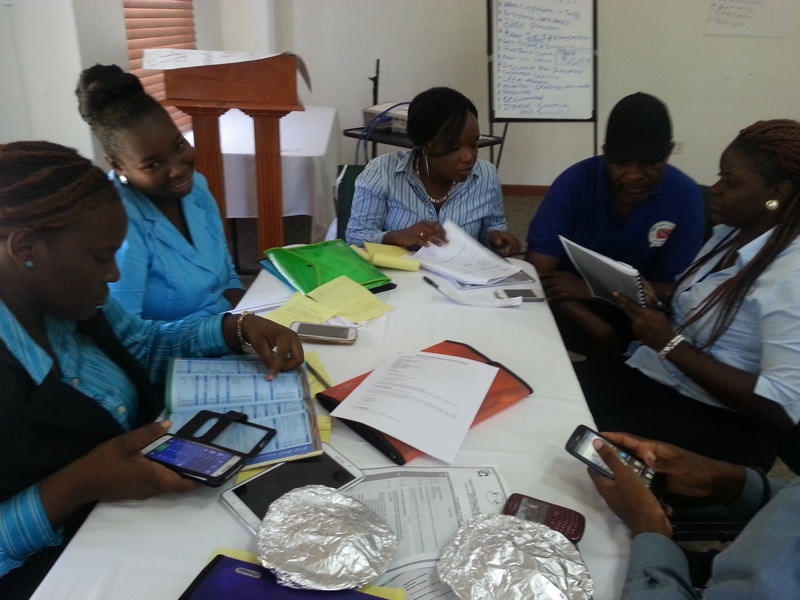 CEBO Montserrat is being facilitated by the Department of Youth Affairs with the support of a CARICOM team. The course which began on Monday, March 2 and runs until Saturday provides theoretical and practical knowledge of starting a business. The 24 participants on Wednesday had to present their business plans to a panel of CEBO Bank officials who queried their readiness to be given loans. Programme Manager from the CARICOM Secretariat Dr Hillary Brown acted as the bank head, with trainer Richard Berwick, Charles Emmanuel, Adena Johnson from the Montserrat Development Corporation (MDC), Joseph O’Garro, Nerissa Golden, and Loni Howe taking on other banking roles. In the end the four groups were able to gain a sum of US$30 per person to invest in the business. The goal is for the team to run a business and earn enough to repay the l oan by Saturday and hopefully gain a profit. The four ventures created are Mi Casa Aroma, which is creating and selling locally sourced potpourri; 4 Eva Montserrat which sells souvenir items with a St. Patrick’s Day theme, Swift Clean Car Wash and Sweets N Treats which sells donuts, cupcakes and local fruit juices. The companies will have until Saturday midday to sell their products and services before the CEBO workshop ends with a ceremony and a business expo at the Montserrat Cultural Centre.